This is a great day out for all the family and features over 120 stalls, dance and music displays, fairground and pony rides and refreshment stalls. The event is being held in the grounds of Brooklands College (Ashford campus) in Church Road and everyone is welcome to come along. Entry for adults costs £1 which includes a ‘lucky programme’ – under 16s are free. Funds raised by the Ashford on the Map Committee has helped fund many community local improvements including the Christmas lights in Church Road and flowers displays in the town centre. Info: If you wish to get involved in organising this event or want your organisation to be represented at the Summer Fun Day please contact Pat Amos on 01460 929396 or Barry Muggeridge on 07759 619884. Visit www.ashfordonthemap.org.uk for more details. 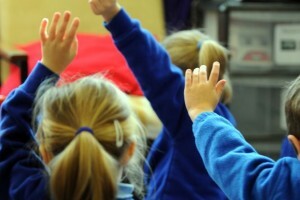 A record number of school applications in Surrey has seen more pupils miss out on their preferred primary school choices. Figures issued by Surrey County Council show 82.4% of pupils were offered their first choice school, down from 83.1% last year. Meanwhile, 94% of Surrey applicants were offered on of their top three preferences, down 94.2% from last year. All Surrey pupils who needed a place got one. Spelthorne Borough Council plans to use the Ashford hotel it purchased for £2 million as temporary accommodation for homeless people. The council said it had already been paying the previous owner of the Harper Hotel, in Fordbridge Road, nightly rental rates to place homeless people. 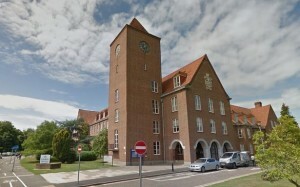 It said the hotel would provide accommodation for up to 20 households, once it had been refurbished. 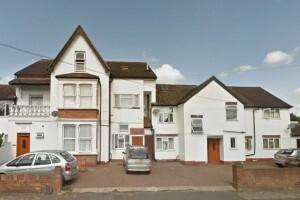 Cllr Jean Pinkerton OBE, cabinet member for housing, said the property will increase their flexibility and allow them to provide a good facility for Spelthorne’s homeless households. “Being forced to move out of the borough can be very disruptive and remove people from their support network,” she said. “Having a fixed number of accommodation units here in Spelthorne will be extremely positive for all concerned. In the last financial year, Spelthorne has spent £484,000 on temporary accommodation and currently has 1,400 families on its Housing Register. 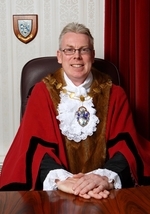 Councillors agreed to increase the council’s borrowing from £6 million to £35 million to buy properties for homeless people and affordable housing during the April 7 extraordinary council meeting. There are currently 74 families in bed and breakfast accommodation with the figure reaching a high of 104 in August 2015. The council says it costs it £6,000 a year for each family it provides bed and breakfast accommodation for. Homeless charity Transform Housing & Support, who set up a shelter in Staines last winter, will help the council set up the project. Paul Mitchell, chief executive of Transform Housing & Support, said: “We are very pleased to share our knowledge and experience with the council to support them in setting up this much-needed project. “The new service will give homeless families a place to stay within the local area, instead of in accommodation out of the borough. “When people have to move out of their local area there are practical issues around work and school – but also an emotional impact in terms of losing links with family and friends. 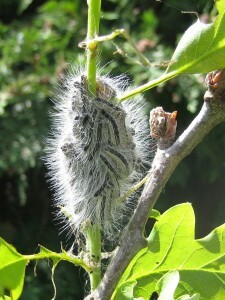 People in parts of London, northern Surrey, West Berkshire and South Buckinghamshire are being reminded to look out for and report caterpillars of the oak processionary moth (OPM), which could be damaging oak trees in the area. They are also advised to keep away from the caterpillars and their nests, because their hairs can cause itching skin rashes and other health problems, and to report sightings to the Forestry Commission. OPM is a tree pest which was accidentally introduced to England. They feed on oak leaves, and in large numbers they can severely defoliate trees and leave them vulnerable to other pests, diseases and drought. Their tiny hairs contain a protein which can cause itchy skin rashes and, less frequently, eye and throat irritations and breathing difficulties in people and animals. The hairs can be blown on the wind, and left in their nests on and under oak trees. The greatest risk period is May to July, when the caterpillars are active, although nests should not be touched at any time. Infested oak trees should be treated by qualified operators under strict controls to ensure it is safe for people, pets, livestock and the environment. • Report OPM sightings to the Forestry Commission, preferably with its Tree Alert on-line form available from www.forestry.gov.uk/opm1. Anyone who cannot use Tree Alert may email or telephone reports to opm@forestry.gsi.gov.uk or 0300 067 4442. • Health advice is available from the “Insects that bite or sting” area of the NHS Choices website, www.nhs.uk/livewell. • Anyone pruning or felling oak trees in the affected areas should contact Forestry Commission England’s Tree Health Unit beforehand on opm@forestry.gsi.gov.uk or 0300 067 4442 for advice about safe removal of the material. • Further information is available from www.forestry.gov.uk/opm1. 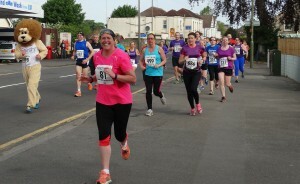 Mayor of Spelthorne, Cllr Mark Francis, got runners underway at the 2016 Staines 10K on Sunday 15 May. 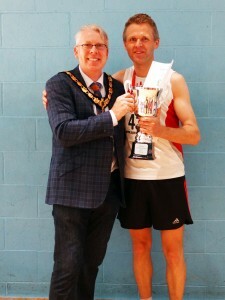 The race, organised by Staines Strollers and Runnymede Runners, with support from Spelthorne Borough Council, saw 595 runners completing the course with the winner, James Samson, finishing in a time of 33 minutes 30 seconds. 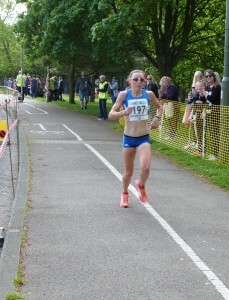 The women’s race was won by Tish Jones who completed the course in a time of 34 minutes 43 seconds and finished 3rd overall. The event was made possible thanks to a team of enthusiastic marshals and volunteers and the kind support of sponsors: Everyone Active, Mova Hairdressing, Brewers, Stream AMP, London House Renovations, Brewers, Staines Chiropractic. Cousins Fruiterers, Apex Sports, the Frame Workshop and Starbucks. All proceeds from the event will be donated to local charities. 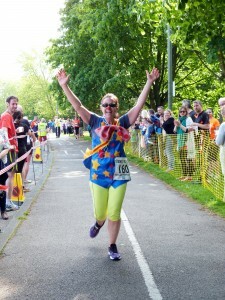 A number of runners also raised money for their own charities and good causes. The full results of the 2016 race are available on the Staines 10K website at www.staines10k.co.uk and details of the 2017 race will be available there in the autumn.